Feral Pigeons are found all over the UK, especially in cities and towns where there is a large population of people; enjoying the scraps of food and rubbish we leave ‘lying around’, as well as warm buildings to roost and nest, the issue of pigeons being a pest is a topic long debated. • Damage – pigeon droppings can damage builds. Essentially, erosive in nature, if the droppings are not regularly cleaned away, they ammonia in in can slowly ‘eat away’ at the surface of the stone or material. 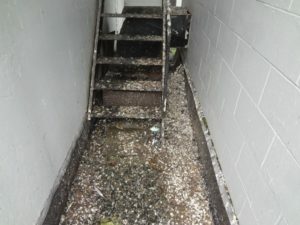 • Unsightly – droppings can also be unpleasant; streaking across roofs and down walls, many people find the constant droppings and mess the pigeons leave as being very ugly and not the image they want to portray. • Health – new pigeon droppings on pavements can be slippery underfoot but also dealing with dry droppings creates a dust which, if breathed in sufficient quantity and over a period of time, can cause breathing difficulties and, in rarer cases, lung disease. Luckily we can put an end to this! 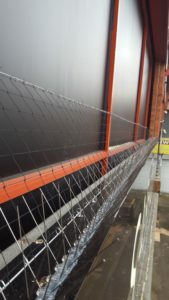 Bird proofing measures such as nets and spikes humanely stop pigeons from nesting and roosting on buildings. These measures, once their installation is complete, has an instant effect – and you no longer have part with your reputation or spend hard earned cash on cleaning and repairing your property! 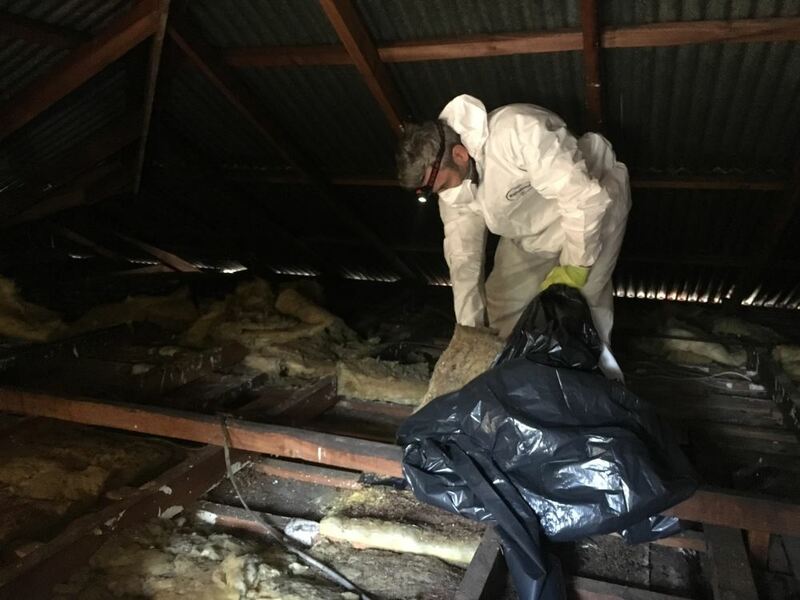 We also provide an efficient and effective bird droppings (guano) cleaning and disposal, followed up with a complete biocide and insecticide treatment. Our professional team work on all manner of buildings, including commercial, domestic and industrial. Many commercial customers are realising the benefits of bird proofing measures, and they are also available to the domestic client too. We also advise on how our habits can also be inadvertently encouraging pigeons into ‘our space’ too! • Bird nests attract many insects such as fleas, beetles, mites, ticks and lice. • Carpet beetles and clothes moth are also often associated with pest birds. • Psittacosis is the best known disease that can be passed on to humans. • Pigeon fouling can also trigger breathing difficulties in asthmatics. • Guttering which is blocked by bird fouling can lead to costly redecoration bills from water damage. • Pigeon fouling can also have a destructive effect on the stonework of buildings, as their acidic droppings can erode surfaces.